What’s debt? Rhetorical isn’t it? We all know what it is. Basically, debt is money you owe an individual or an entity. Most of us have been through the journey of taking out a mortgage, an auto loan, student loans, and credit card debt. Corporates also acquire debts through bonds and commercial paper. There is good and bad debt. Not all debt is bad. For instance, you may opt to acquire a loan to invest in something with long-term returns. This way, your profits take care of the repayments and you remain with valuable, consistent income. Regardless of what we use the amount for, we find ourselves in debt; but how do we manage it? Here are a few insights into how you can effectively put debts on the leash. The first step is to make a list of all your creditors. 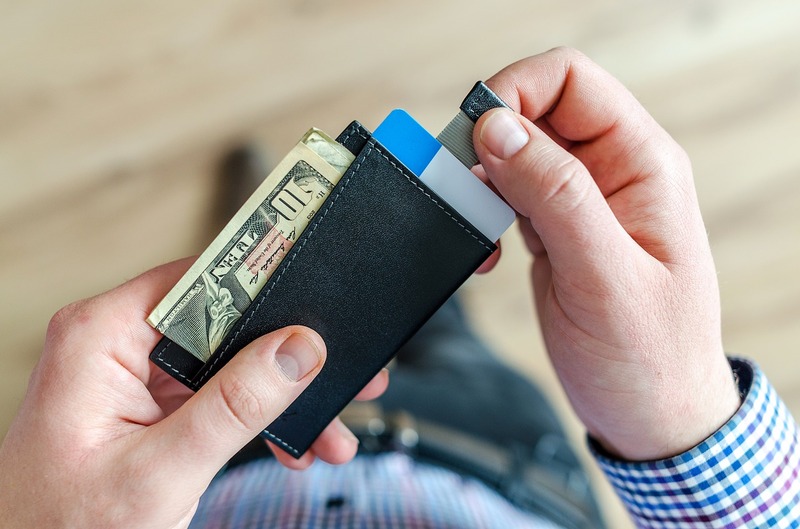 It is often intimidating having to remember all your creditors and the lump sum you owe them, but this is the best way to have an outline of your accrued debts. Methodically categorize the forms of debt you might have. These categories include students’ loans, credit card debt, mortgages, or auto loans. List down your creditors under each category. Write the amount you owe against their name. Don’t forget to write the due date for each creditor. Writing this information down will give you an upper hand in strategizing the best way to pay off your debts. Nation 21 Loans that accrue the highest interests tend to pull you back. If you are encumbered with several types of debts, including auto loans, mortgages, student loans and credit card debts, merit-list them according to interest rates, not by the remaining balance. For example, you have an auto loan of $10,000 with a 10% Annual Percentage Rate (APR) and a mortgage balance of $50,000 with a 25% Annual Percentage Rate (APR). You might want to repay the mortgage first, even if the auto loan has the least balance. Pro tip: Put less money into repaying loans with the least interest rates and direct maximum input into paying down high-interest loans. Unfortunately, many people focus on monthly payments when seeking a loan. But did you know that the payback amount is incredibly far-fetched, especially when stretched out over a long period of time (normally in years)? Picture this; you obtain an auto loan of $50,000 at a 5 % rate Per Annum (PA), over a 10 year period. Notice that each month, you are required to make monthly payments of $530.33. Pretty cheap right? However, when you do the math, you’ll notice that the loan will really cost $63,639.31. That’s indeed a lump sum of money! Pro tip: Before taking out a loan next time, try to figure out how much the loan will actually cost you in the end. Why wait for lenders to seize your assets due to non-payment of a loan? In case you get overwhelmed at making monthly deposits towards repaying a loan, think about calling your lenders and negotiate different terms. Situations where repayment is overdue, money lenders will issue a notice to the debtor before repossessing their (debtor’s) property. During this period, consider negotiating new and friendlier terms. Having an outline of your debts and negotiating friendly terms with your lenders is just the beginning. You will need an unerring strategy to jet you off this black hole called debts. The best strategy to paying off your debts is cutting off unnecessary expenses. These expenses may include vacations, dates, buying that new couch design, paying for premium packages, your dinner too! Yes, your dinner. No, not really starving, neither being a vegan, but did you know that limiting meat servings to one or two times a week approximately saves $765 a year? According to research, it is possible to cut off debts while maintaining your fitness levels high. Pro tip: Serve vegetables in place of meat; you’ll contribute to reducing the loan amount, and benefit from a healthier diet. You have an outstanding strategy geared towards repaying your debts and also ventured into an investment that’s raking in good profits. That’s good progress. However, it will not be of much help if you miss repayment dates. Late payment negatively affects your credit score and this might deter acquiring another loan, in case you need it. Further delays in repayment will warrant your lenders to trigger a lawsuit. 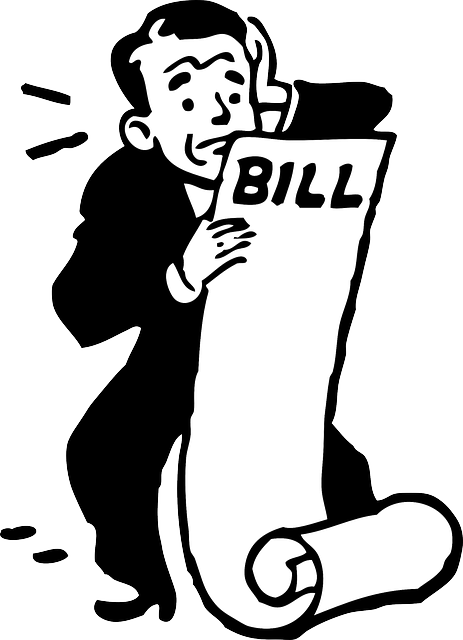 Pro tip: To avoid late payments, it is important to set up an auto-payment schedule with your bank. This little technique will scoop you from unforeseen trouble. Maxing out your credit cards directly impacts your credit score. Credit utilization ratio determines how frequent you use your credit card, and how much is spent. This information is important to lenders because it sets out your credit score with them. At times we tend to think, “If only there was a way I could avoid taking out loans.” Well, did you know that avoiding loans negatively affects your credit score? If you avoid taking out loans, your credit score doesn’t build up. Instead, it nosedives. Pro tip: To retain and build a positive credit score, limit your expenditures to less than 30% of your available credit. For example, if your credit limit is $20,000, ensure your expenses do not exceed $6,000. Sometimes you’re unable to make payments as scheduled, presumably because the amount is not enough, or a pressing need arose. In times like these, it is important to make momentous decisions and contact your lenders before the due date. Contacting your lenders will present you with an upper hand at weighing alternatives, but it depends on the particular type of loan taken. Repayment of student loans can be paused or deferred while mediation services (for other loan types) can be provided by contacting debt settlement companies. Debt repayment is not easy; it takes an emotional toll, especially toward the onset of the repayment period. However, reviewing your repayment efforts will inflict the motivation you need to keep pushing. As helpful as it may sound, paying up every dime you own is not a good idea. Instead, remember your budgetary needs and save just in case of emergency. The failure of that, you will end up incurring more expenses, therefore finding yourself in a recurring debt sequence. Pro tip: The ability to save while paying up debts gives you an assurance to maintain solvency. By using debt management techniques, you are guaranteed a comfortable and seamless journey to economic freedom while lightening all concerns about financial constraints. Go ahead and give it a try! 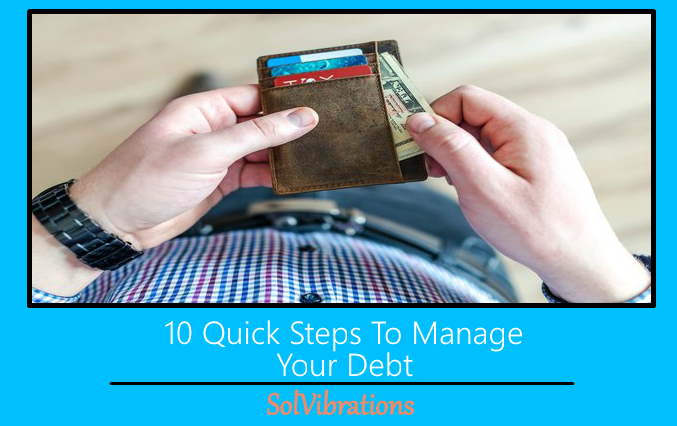 This Concludes: 10 Quick Steps To Manage Your Debt. What Did You Think Of This Post? Please Let Us Know By Rating Below!